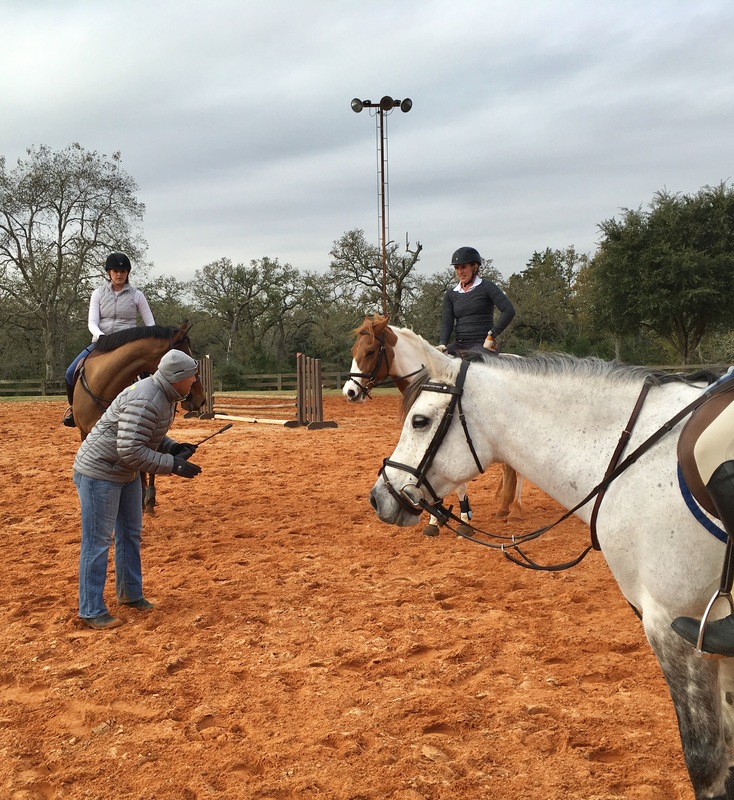 Aside from XC schooling, the other reason I went to Pine Hill on Saturday was to watch my friend Michelle (of Willow Tree Warmbloods) ride her pony in the Buck Davidson clinic. 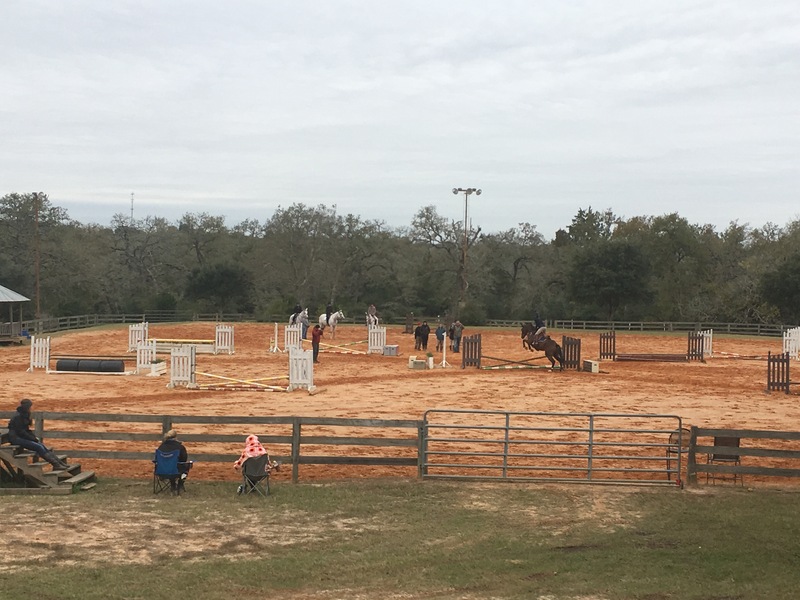 I love me some Buck, so I was sad to have missed being able to ride with him this year, but getting to stand in the ring during a couple lessons and listen/watch was still fun. Side note: I did pause from taking pictures long enough to put one Buck-ism into my phone’s notes… “This is not a halfway sport. It’s all or nothing.“. The comment was related to a rider not being proactive enough to get the exercise done, but I thought it was applicable in lots of ways. Jumps! 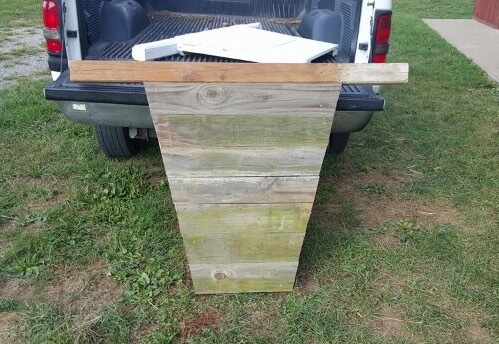 Ten standards, a couple boxes, a gate, 3 planks, and some jump cups. This might be the best gift I’ve ever gotten. I mean… I literally had two jumps before, one of which was just a single barrel. Now I pretty much have a whole course! And I didn’t have to pick up a single power tool! At some point I’ll paint them all and do some minor repairs, but for now, they certainly get the job done. Michelle also brought me a couple of paintings from Henry’s 2016 show season, and they’re gorgeous as usual. I love that she uses my colors, it really ups the level of awesome. Don’t forget that a painting from Michelle is one of the prizes for winning the logo contest… you have a couple more weeks left to get entries in. It looks like we’ll be adding more prizes, too! Previous Back at it! 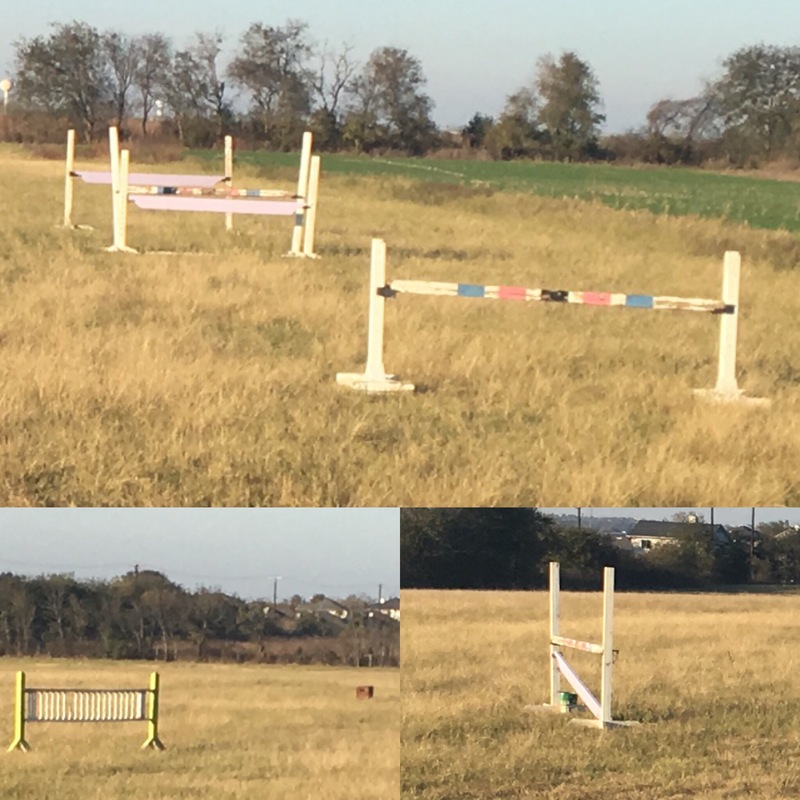 XC schooling edition. WOW Michelle must really love you! Now you’ve gone a step too far. Less Bailey’s in your coffee next time. That is why I don’t event anymore. But yay for the new jumps! For someone who suffers from commitment issues when she’s pointed at a fence she hates, it was a great quote lol. I need to get more poles. You can never have too many poles. i tried to make a chevron jump once and failed miserably at it haha. hopefully you have better luck than i did! also i think i’d really enjoy watching a buck clinic. or riding in one haha. either way, really! When I say “I” want to make something, what I really mean is that I want to talk someone else into making it for me. Because really, I’m a superglue and duct tape kind of girl. I need to build myself some stuff for skinnys. And I totally want some barrels! Haha yeah. Other people get sweaters for Christmas I think? How droll. Awesome!!! How did you decide on your colors?? You have some pretty cool friends! Yay jumps! And those paintings are gorgeous! Wow! That’s almost the best trip ever. It would only have been improved if Henry came you were able to participate.